Goitre is enlargement of the thyroid gland. The thyroid gland is a part of the endocrine system (the system that is responsible for secretion of various hormones). It secretes two hormones: thyroxine and triiodothyroxine and these hormones, in turn, regulate functions of various organs. The functioning of the thyroid gland is controlled by two glands in the brain- hypothalamus and pituitary gland. When thyroid hormone synthesis is impaired, the pituitary gland secretes thyroid stimulating hormone. To counteract the effects of high levels of this hormone the thyroid gland grows to a condition which is referred to as goitre. For example in the case of hyperthyroidism individual may experience palpitations, nervousness, increased metabolism while in case of hypothyroidism one may experience increased weight gain despite poor appetite, lethargy, depression, etc. Treatment depends on the cause of the goiter. Iodine supplements may be given if its a case of iodine deficiency, thyroid hormone replacement pills are advised in case of the underactive gland, radioactive iodine is used to treat overactive gland and finally, even surgery is advised to excise a part of the gland. 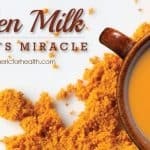 How could turmeric benefit in goitre? Turmeric is bestowed with a number of medicinal properties that can be beneficial in goitre treatment. 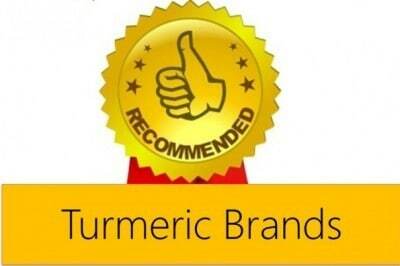 Curcumin, its active ingredient, is a great antioxidant and anti-inflammatory agent. 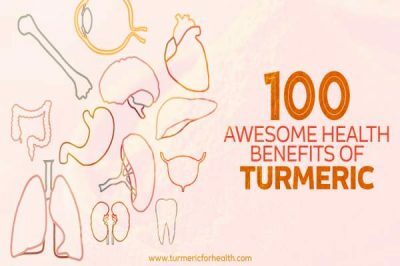 According to Traditional Chinese Medicine, the warm-hot nature of turmeric can increase the levels of thyroid hormone, strengthen the link between thyroid and gonads as well as improve the functioning of the endocrine system. 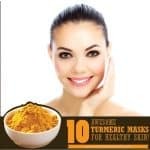 The study that draws attention on turmeric’s therapeutic efficacy in goitre is ‘Turmeric use is associated with reduced goitrogenesis: Thyroid disorder prevalence in Pakistan (THYPAK) study’ by Jawa et al. In this scientific survey, 2335 individuals were interviewed for history and screened for goitre. 28.7% of the study population had palpable goitre. Overall the study population had endemic goitre with a high prevalence of hyperthyroidism. 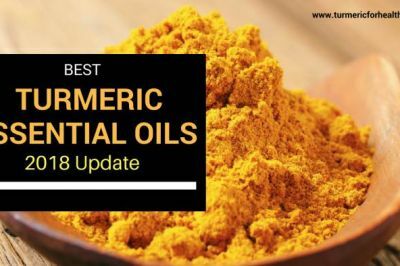 Based on the data collected about dietary habits it was found that turmeric use was associated with reduced risk of goitre development. Researchers concluded that individuals who consume goitre inducing diet (for eg: diet lacking in iodine) should include turmeric, spices and green chilies to reduce the risk of developing goitre. 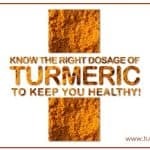 A study shows that dietary turmeric can serve as anti-goitrogenic agent. Inclusion of turmeric and other spices in diets which are highly likely to cause goitre, such as diet deficient in iodine, can reduce risk of developing goitre. Thyroiditis is inflammation of the thyroid gland. Typical complaints related to thyroid enlargement include generalized neck swelling (diffuse goiter), neck mass (unimodular or multinodular goiter), and difficulty in swallowing neck pain, or hoarseness. 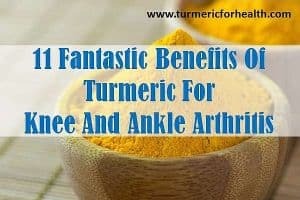 Curcumin works as an excellent anti-inflammatory agent and natural painkiller. It inhibits the activity of nuclear factor-kappaB- a protein that controls the inflammatory process. 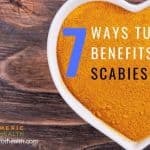 It reduces the production of inflammatory chemicals in the body and increases the production of anti-inflammatory agents. It regulates various biochemical pathways involved in inflammation and even influences the activity of genes involved in inflammation. These mechanisms help in combating inflammation induced pain. Turmeric and curcumin can aid in reducing the inflammation, pain and swelling occurring in goitre. Treatment of vitamin E is proven to inhibit cell proliferation and excessive growth in of thyroid gland in goitre. Curcumin’s antioxidant is comparable to that of Vitamin E.
Hypothyroidism is when the thyroid fails to produce adequate levels of thyroid hormones. Papiez et al have demonstrated that curcumin has an age dependent effect on thyroid gland. According to their study, curcumin stimulated thyroid gland in young rats and in old rats decreased the increase in thyroid hormones and prevented hyperplasia (abnormal but not cancerous growth of organ) of thyroid gland. 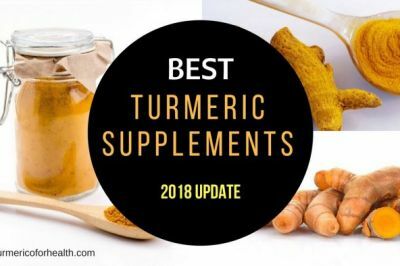 In an experimental model of hypothyroidism, turmeric (as an antioxidant) reduced the weight of thyroid glands, normalized thyroid hormone levels and reduced rise in cholesterol levels. This suggests the therapeutic use of antioxidants, especially turmeric and curcumin, in the treatment of thyroid related disorders. The use of antioxidants has been implied in treatment of goitre. 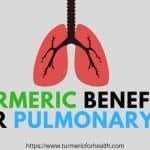 Curcumin is a potent antioxidant and research proves that turmeric and curcumin, as antioxidants, aid in treatment of thyroid related disorders. Hashimoto’s disease and Graves disease are two autoimmune conditions that affect the thyroid and can cause goitre. Autoimmune conditions are ones in which the body attacks its own cells or components in the same way as it would attack foreign bodies. This is an error in the immune system. Curcumin regulates activation of immune cells that control autoimmune reactions. It inhibits the activation of pro-inflammatory chemicals secreted by immune cells. It regulates the level of interleukins (a type of chemical secreted by cells) that play an important role in autoimmune conditions. It influences a number of biochemical pathways in autoimmune diseases. 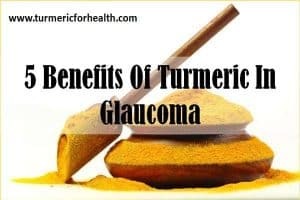 Curcumin shows therapeutic potential in autoimmune disease which can help in treatment of Hashimoto’s and Graves disease; these are causative factors of goitre. Hyperthyroidism is a condition in which the thyroid over functions and excessive thyroid hormone is secreted. Excessive production of thyroid hormone can cause oxidative stress- the imbalance between prooxidant and antioxidant agents in the body. This oxidative damage can spread to other organs, for example, the kidney leading to a growth of kidney tissue, swelling and impaired function. Turmeric and curcumin by virtue of its antioxidant property restore the level of antioxidant enzymes and reduces oxidative stress in the kidney. 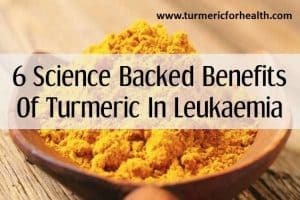 Additionally, turmeric treatment reversed the structural changes occurring in kidney cells while curcumin alone was effective in reversing the excessive growth of kidney tissue. Curcumin is also proven to protect the brain and testis against hyperthyroidism induced oxidative damage. 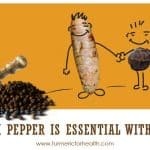 Curcumin restores antioxidant defenses and prevents liver dysfunction caused by hyperthyroidism induced oxidative stress. Similarly in case of hypothyroidism (reduced production of thyroid hormones), curcumin is proven to protect kidneys, brain and liver from oxidative stress. Goitre can either present with symptoms of reduced thyroid hormone production (hypothyroidism) or increased production (hyperthyroidism). Both these conditions upset the balance between antioxidants and prooxidants in the body thus causing oxidative stress. Curcumin treatment protects other organs of the body from such oxidative stress. Goitre presents a low but possible risk factor for thyroid cancer. 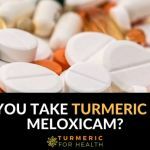 Curcumin treatment causes DNA damage in thyroid cancer cells, arrests their growth and prevents them from proliferating. 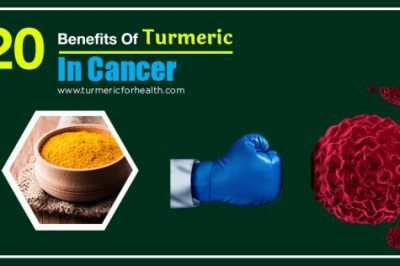 Research suggests that curcumin may be an effective agent in inhibiting the growth of tumors and thereby aid in the treatment of thyroid cancer. Curcumin potentiates the anti-tumor effect of sorafenib (anti-cancer drug) in the treatment of thyroid cancer. Synergistic anti-cancer activity of curcumin and docetaxel (chemotherapeutic drug) in thyroid cancer is proven. 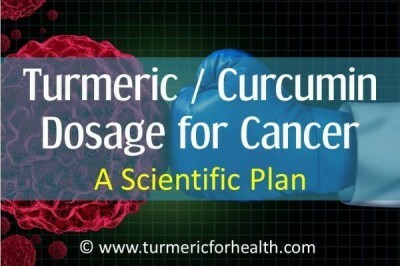 Curcumin manipulates a number of biochemical pathways to inhibit metastasis of thyroid cancer. Zhang et al have shown that curcumin prevents thyroid cancer cells from migrating and spreading to different parts of the body by inhibiting the action of transforming growth factor-beta (TGF-beta). TGF-beta is a family of proteins secreted by cells and play an important role in cell growth, differentiation, and death. Curcumin is proven to sensitize thyroid cancer cells to the action of radioactive iodine which is used in treatment of thyroid disorders. 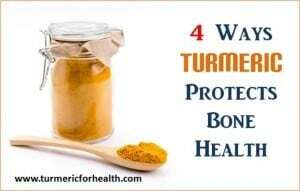 Turmeric can prevent as well as destroy thyroid cancer cells. It works in combination with anti-cancer drugs to destroy thyroid cancer cells. It also prevents thyroid cancer from metastasizing. 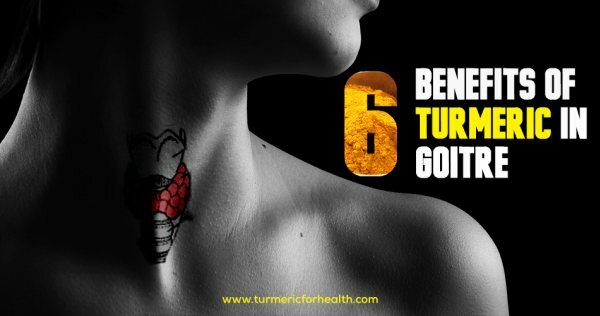 Including turmeric in the diet is a good way to reduce the risk of developing goitre. For better absorption do add black pepper and/or healthy fats (coconut oil/olive oil). 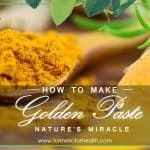 A therapeutic yet simple way of taking turmeric is The Golden Paste. 1-3 teaspoons once or twice a day can help ease the pain, inflammation and oxidative stress in goitre. Here are a few recipes with The Golden Paste. Turmeric in the diet has no known side effects. Slight gastric discomfort is possible initially but disappears gradually. 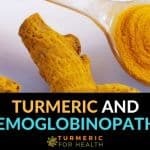 The use of turmeric in treating thyroid and other endocrine-related diseases has been suggested in traditional medicine. Quite a bit of scientific evidence suggests that curcumin can be used to counteract hypo/hyperthyroidism and their damaging effects. Additionally, curcumin’s antioxidant and anti-inflammatory property can be useful in the treatment of goitre. 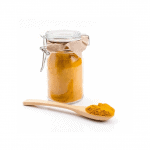 There is a need of good clinical trials that could study the use of turmeric or curcumin in goitre treatment. Including turmeric in your diet or consuming the Golden Paste can serve as a preventive and therapeutic measure in goitre treatment. I suffer from hypopituitarism, ie i lost my pituitary gland, so i have no thyroid function. Recently in west australia have been unable to access fresh turmeric root. I bought some powder which i have taken with a lot of black pepper. i then started to experience they symptoms of low thyroid levels, which for me include aching joints,no appetite, bad tolerance of cold, and low mood. I recognised these symptoms from a period where i was drinking a lot of cabbage juice. Cabbage in high quantities is a known goitregen. This depresses the level of my medication. I recognized that i was taking too much turmeric powder/ and or pepper. I halved my dose and things returned to normal. SO………….you can have too much turmeric under certain circumstances. Im very glad i figured it out as my endocronologist could not. I was taking two heaped teaspoons of the powder with half a teaspoon of black pepper which made into a smoothie. Thank you sharing these interesting points, Martin.